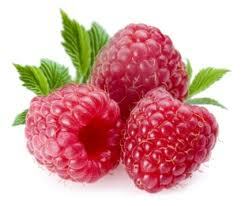 ..Red Raspberry Pure Powder and Capsules ..
No binders or additives. No animal ingredients. No Magnesium Stearate. Xue H, Aziz RM, Sun N, Cassady JM, Kamendulis LM, Xu Y, Stoner GD, Klaunig JE. Lin SS, Hung CF, Ho CC, Liu YH, Ho HC, Chung JG. Shepherd AG, Manson MM, Ball HW, McLellan LI. Khanduja KL, Gandhi RK, Pathania V, Syal N.
Narayanan BA, Geoffroy O, Willingham MC, Re GG, Nixon DW. Singh K, Khanna AK, Chander R.
Singh K, Khanna AK, Visen PK, Chander R.
Ahmed S, Rahman A, Saleem M, Athar M, Sultana S.
Iakovleva LV, Ivakhnenko AK, Buniatian ND.